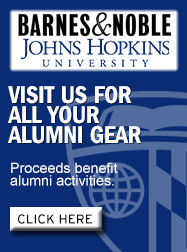 Looking for the perfect gift for your favorite Johns Hopkins alum? Consider the official Johns Hopkins ring, watch, or lamp for the new graduate in your life. What's more, Alumni Association members receive great discounts on Johns Hopkins merchandise such as shirts, ties, and umbrellas, as well as exclusive bargains on books from the Johns Hopkins University Press. Show your Hopkins Pride with these exclusive, quality, upholstery fabrics! American made of polyester with Teflon finish, they are ideal for upholstering chairs, sofas and pillows, and covering bulletin boards and valances. They feature the official Hopkins shield, Blue Jay logo, and a tartan in coordinating Hopkins colors of black, blue, white, and taupe. Want to show your Johns Hopkins pride? Fly your very own Johns Hopkins flag! The three-foot by five-foot nylon flag prominently features the new logo and Johns Hopkins University in Hopkins blue. Please contact the Alumni Relations Office at 800-548-5481 to purchase this item. 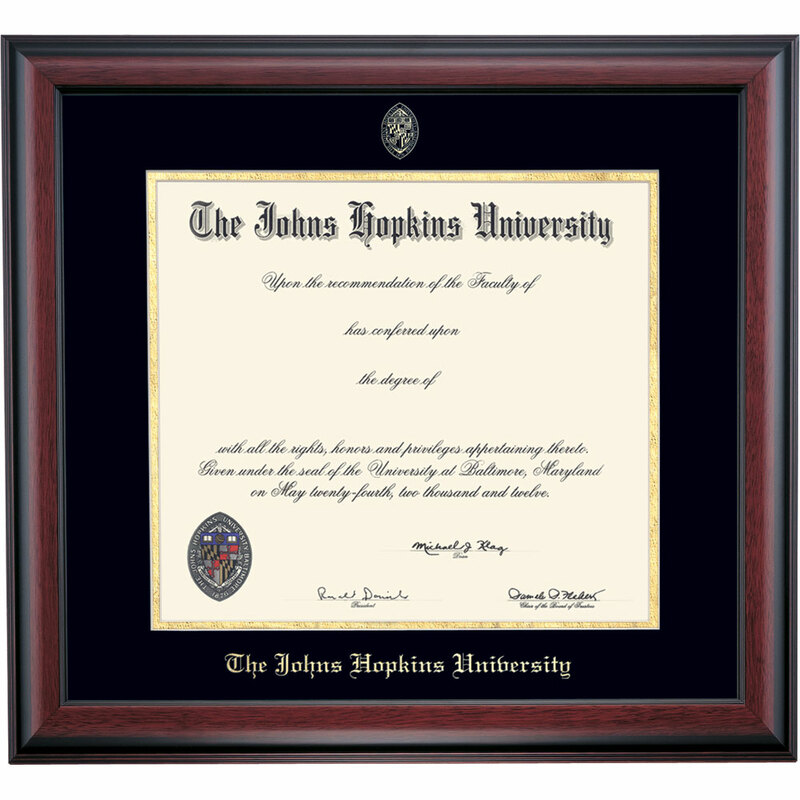 We are proud to offer official The Johns Hopkins University Maryland and Delaware license tags bearing the university shield. 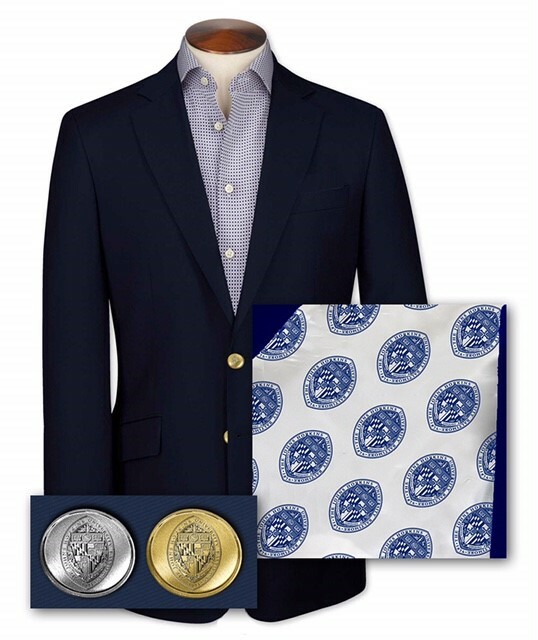 SAISWARE offers both apparel and gifts bearing the SAIS logo for students and alumni. To order t-shirts, sweatshirts, hats, and bags, visit the gift store online. If you would like to contact the SAIS store directly, call 202-663-5664 or email saisware@jhu.edu. 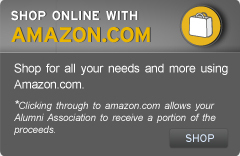 Shop online with your Alumni Association membership number handy and get a 25% alumni discount on books from the Johns Hopkins University Press—the nation's oldest and one of its largest. Sign up for the Press Director's Newsletter, or for the e-mail newsletter, PressPass, and be the first to know of forthcoming books, new journals, special sales, book signings, and special events at the Johns Hopkins Press. For a copy of the JHU Press catalog, write: The Johns Hopkins University Press, 2715 North Charles Street, Baltimore, Maryland 21218.